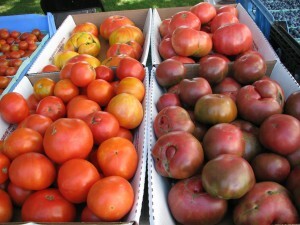 How does our CSA (Community Supported Agriculture) work? From mid-June to mid-October, CSA members will receive a share of fresh, delicious produce grown with organic practices from the Dismas Family Farm. With pick-up sites in Oakham, Worcester, and Westborough, the Dismas Family Farm CSA is a great way to bring fresh, local produce to your table. 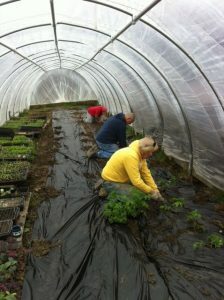 Our CSA has the added benefit of supporting the rehabilitative work of Dismas House, reconnecting former prisoners with society, providing them with a new sense of self-worth and purpose. 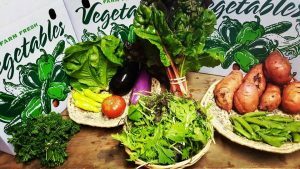 For 20 weeks, CSA members will receive a weekly share of the over 50 varieties of the best vegetables that the Dismas Family Farm produces! 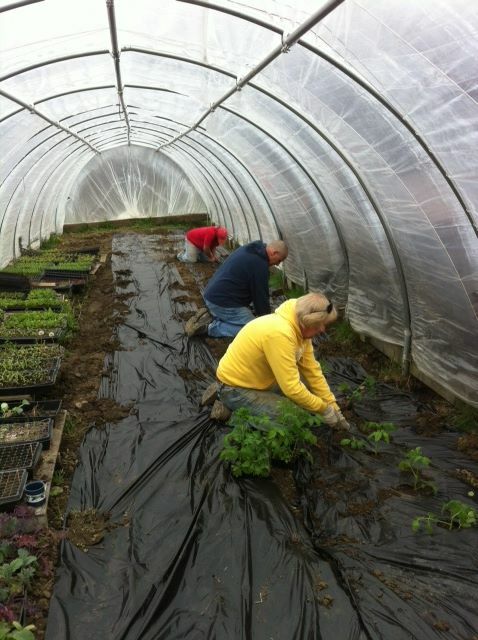 Our vegetables are grown without synthetic fertilizers or pesticides but we don’t stop there! We believe that caring for the soil promotes the long-term health of the land and produces nutrient-rich vegetables. We use crop rotation, manure from our animals, and cover crops to feed the soil. Our commitment to sustainability extends beyond the fields – much of our electricity comes from solar energy. Click HERE for more information and to sign up for this year’s vegetable CSA! Or click HERE to download our CSA brochure!